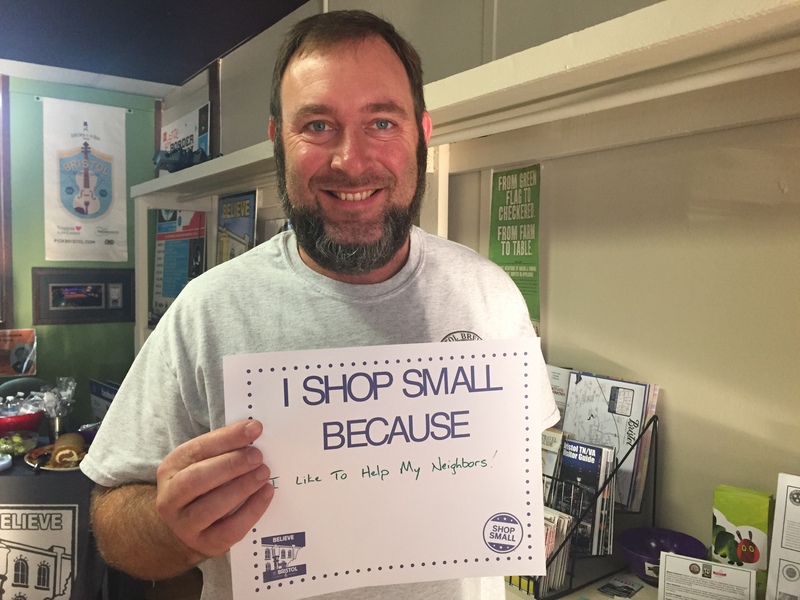 This week's "Meet the Merchant" featuring Historic Downtown Bristol business: Bristol Station Brews & Taproom! How did Bristol Station Brews & Taproom come about? I was a home brewer for several years, brewing beer for my family and friends. I was encouraged to enter, and I was fortunate enough to have won, the very first Downtown Bristol Entrepreneur Grant with the best business idea to locate in the downtown historic district. I used the grant to partner with the City of Bristol to acquire the old Greyhound bus station. I then worked with Bank of Tennessee for the rest of my start up needs. I was born in Pittsburgh, and after moving to Buffalo and Chicago my family settled here in 1984. I started high school that year at John S Battle. While I'm not from here originally, I consider this my home town. I have a beautiful wife Bonnie, daughter Natalie and son Griffin. We have two dogs and a cat. I'm an avid golfer and I love music and traveling. One of my favorite things to do while traveling is going to breweries! Sweet Tooth: Dairy Queen's Peanut Buster Parfait — but without the peanuts!!! Yes, I'm a little bit weird!! Summer is here! Artist Jean Ann Poore will offer kids art classes at A Work of Art Gallery & Gifts for the next two weeks. 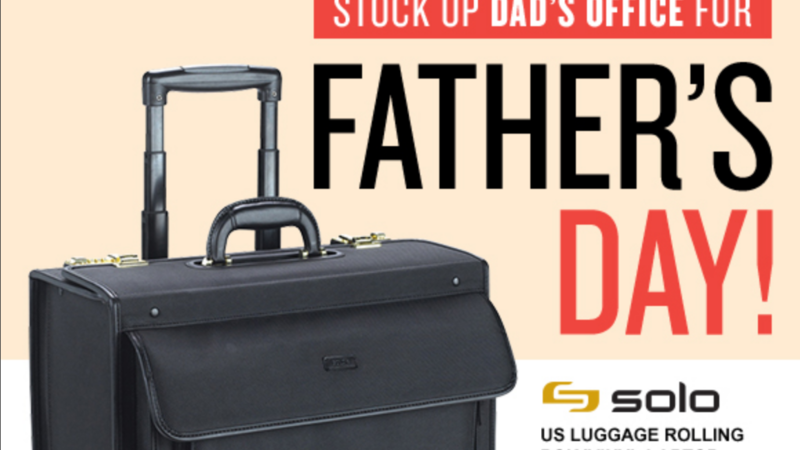 Supplies included and discount offered for more than one student. Come join in the fun! Cost is $30/day or $150/week ($20/day or $100/week for additional siblings). 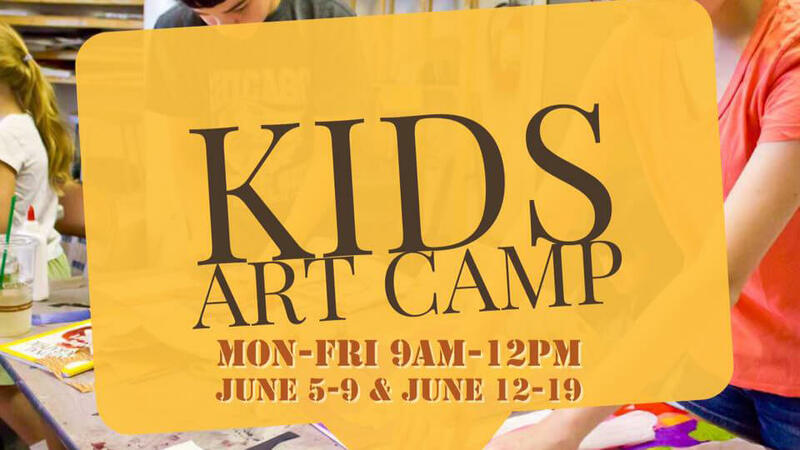 During this art camp, every day will be loads of fun working on a new project! Class instructor Jean Ann Poore, an artist at A Work of Art Gallery & Gifts on State Street in Downtown Bristol, will make sure all students will come home with their own works of art – whether they attend one day or all five days in the session. All supplies are included in the cost of the class. To find out more information, contact the gallery via Facebook or email info@aworkofartgallery.com. Register by contacting the gallery at 423-797-0089. 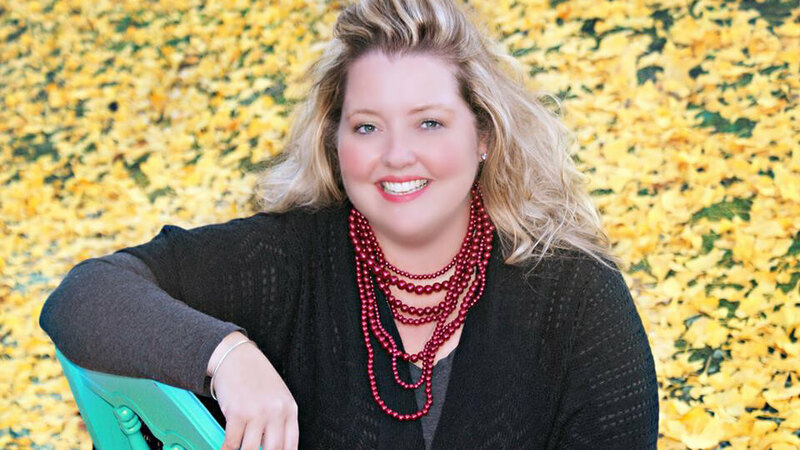 Sarah E. Kincaid’s “Spring till September: Book One”(published by WestBow Press) is a coming-of-age story that examines how the events in one’s life brings a person from childhood to adulthood. Kincaid portrays how Caroline’s responses to love, loss, heartache and life changes affects the woman she will grow up to be. The novel is the first in a planned series. Nevermore has been a great success for the Bristol Public Library, so BPL is excited to announce the expansion of their book club programs by unveiling the brand new BPL Book Club! 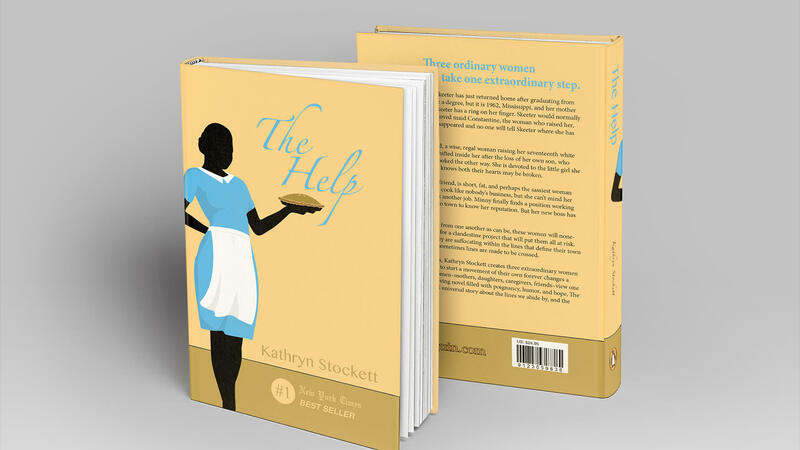 On June 15 at 6:00 p.m. in the Frances Kegley Conference Room, BPL Book Club will set off on its maiden voyage with The Help by Kathryn Stockett. The first meeting will help set up the framework for the book club for the rest of the year, so the club will only begin discussing The Help on June 15 and finish up at the next meeting on July 20. The club's goal is to read one new book each month, and BPL plans to host several other events throughout the year as a special treat for readers. For more information on our BPL Book Club, please contact Ambrea at the Bristol Public Library at 276-645-8780. 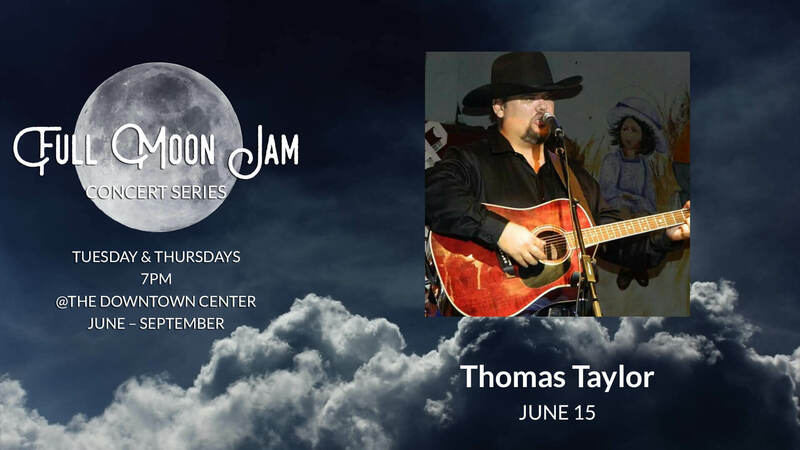 Thomas Taylor and the Nightshade Band is one of the area's finest country and classic rock bands around! 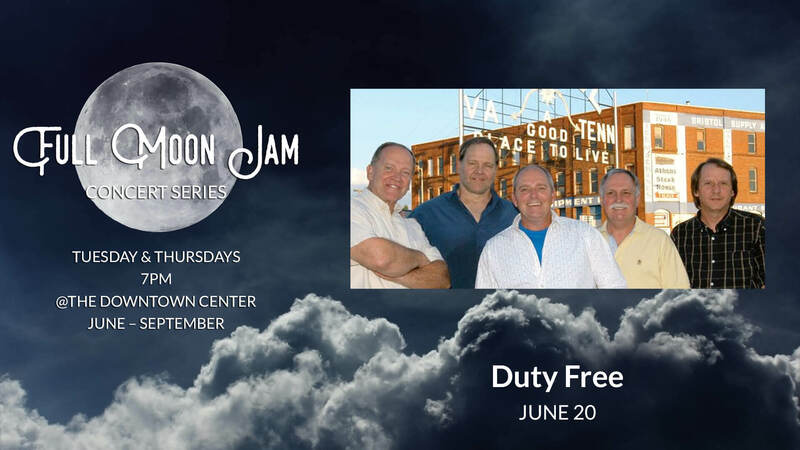 They have opened up for Billy "Crash" Craddock, Earl Thomas Conley, John Anderson, Gene Watson, Exile, Billy Joe Royal, Bobby Bare, T.G. Sheppard, Billy Walker, Mark Collie, Jamey Johnson, Andy Griggs, Ricky Van Shelton, Ronnie McDowell, Dan Seals, and more. Ben Brock is a chef at Whiskey Rebellion in downtown Bristol, but more than that he is part of the family that this new restaurant has created. 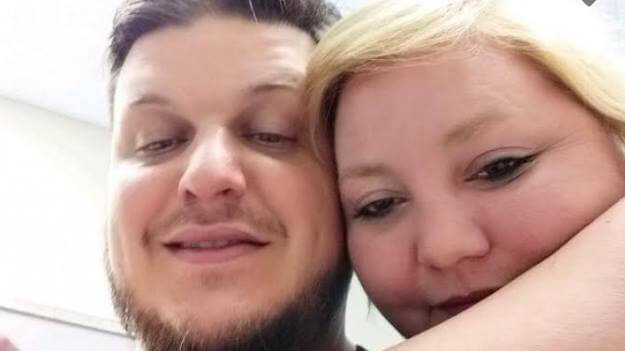 Ben has been diagnosed with stage 4 cancer in his lymph nodes, which is now upper cerebral and has spread to his lungs, around his heart, and his stomach. As you can imagine, this makes it impossible for him to work while he and his fiancée, Janette, look into treatment options. Janette has also taken time off to care for and support Ben. 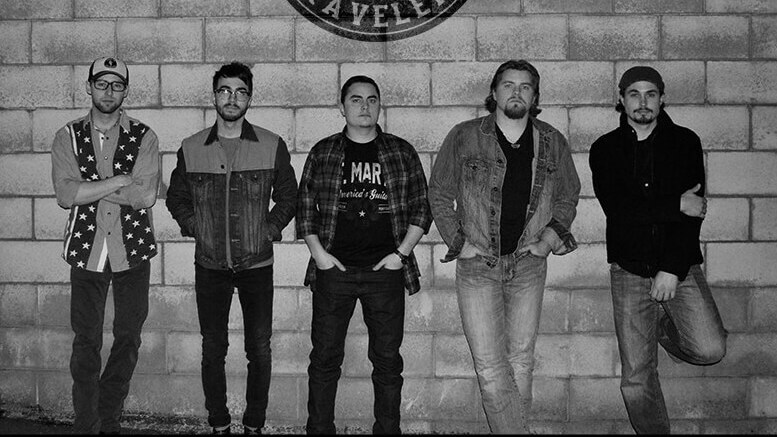 Like any good family, Whiskey Rebellion wants to do as much as possible to take some of this weight off their shoulders, but they need help. They are going to have large medical expenses as well as their regular bills to pay and now little to no income. If you can, please give a little (or a lot) to help these two amazing people through an incredibly difficult time. Whiskey Rebellion is hosting Ben a Birthday Bash & Benefit to help raise funds. The restaurant will be donating ALL of the proceeds from sales of the dish they have named Chicken a la Brock for $13 and a drink special, Horse & Buggy $8 (Pony Miller & a Shot!). Adam Graybeal & Jamen Denton will be jamming out along with some other guests as the night goes along. There will be NO cover to attend the benefit but there will be a Donation Jar and ALL donations will go to Ben and Janette. If you cannot make it and would still like to donate, you can make a donation on the GoFundMe page Whiskey Rebellion has set up for Brock here: www.gofundme.com/the-need-of-extraordinary-gentleben. 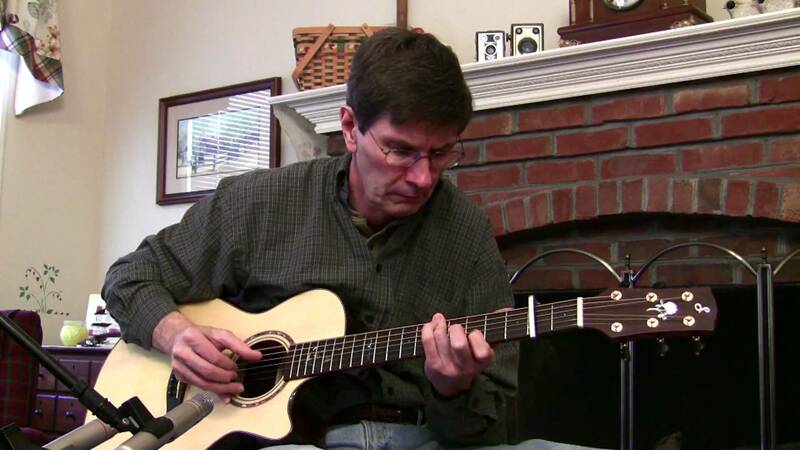 Local guitar legend Gerald Sheppard will perform at Blackbird Bakery June 15th from 8-10pm. 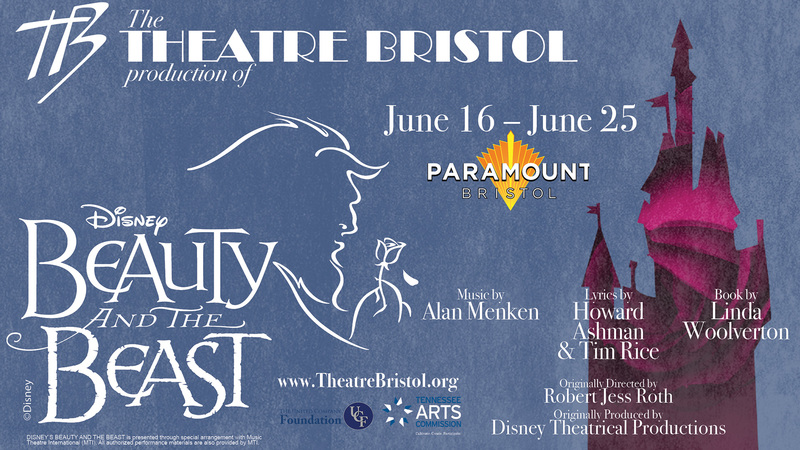 Theatre Bristol is pleased to present its production of Disney's Beauty and the Beast on June 16-25 at the Paramount Center for the Arts. Directing Disney's Beauty and the Beast will be highly respected and talented actor/director, Theatre Bristol veteran Glenn Patterson (The Music Man, Les Misérables, Scrooge! The Musical, Joseph and the Amazing Technicolor Dreamcoat, Miracle on 34th Street). Disney's Beauty and the Beast includes favorite songs with music composed by Alan Menken and the late Howard Ashman, as well as songs by Menken and Tim Rice, with book by Linda Woolverton telling the "tale as old as time" of Belle and the Beast. The production is based on the Academy Award-winning animation and then originally directed by Robert Jess Roth and produced by Disney Theatrical Productions. Belle's ability to see his heart provides a chance for the Beast's curse to end. The castle inhabitants show their hospitality, inviting Belle to "Be Our Guest" entertaining for their very humanity with humor and beautiful music. Theatre Bristol is pleased to present Disney's Beauty and the Beast as part of its family-friendly 52nd season! Theatre Bristol's production of Disney's Beauty and the Beast will open June 16 and run for two weekends with 7:30 evening and 2:30 pm matinee performances at the Paramount Center for the Arts. Tickets will be available online at the Paramount Center for the Arts website. 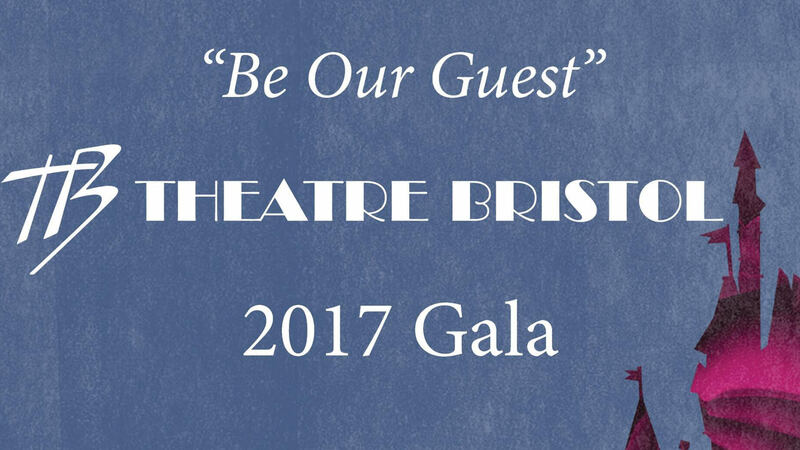 Opening night features the "Be Our Guest" 2017 pre-show Gala Event at 6:00 pm, with tickets available for $100 that include the show premiere, supporters of the arts, musical entertainment, drinks, and hors d'oeuvres. Disney's Beauty and the Beast is presented through special arrangement with and all authorized performance materials are supplied by MTI,www.mti.com. Founded in 1965, Theatre Bristol is the oldest continually running children’s theatre in northeast Tennessee and now celebrating its 52nd season. Its Main Stage season consists of up to six productions. Some of its performances take place in the ARTspace, a multi-purpose, black box theatre which seats up to 120, and other performances are on stage at the Paramount Center for the Arts. 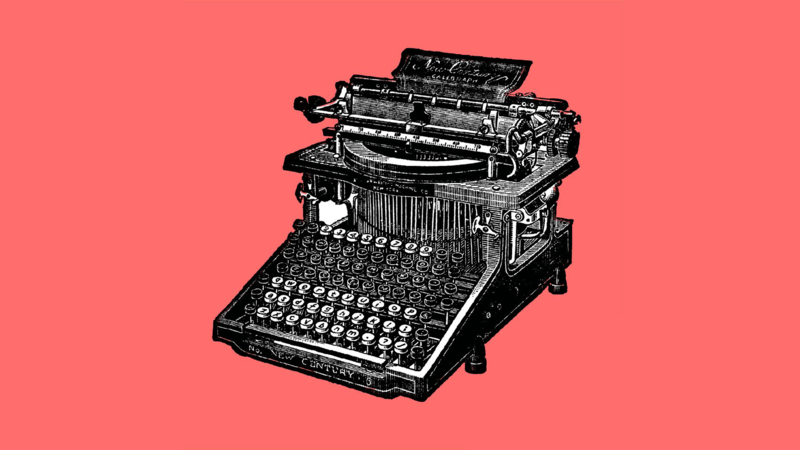 Theatre Bristol is volunteer run and we invite you to get involved. The dining room presents a culinary cabaret of talent and celebration fundraising event to benefit Theatre Bristol on June 16 at 6:00 pm at the Paramount Center for the Arts. Arts supporters are invited to an opening night gala and fundraising event featuring premium seating at Theatre Bristol's production of "Disney's Beauty and the Beast" directed by Glenn Patterson. Prior to the show, enjoy an entertaining meal and drinks with J&K Classics singing your favorite Broadway show tunes in the beautiful Art Deco Paramount Center for the Arts. Admission to the 6:00 pm event is $150 for couples and $75 individuals. Reservations can be made online by visiting www.theatrebristol.org or by calling 423-212-3625 by June 9. The annual Gala includes admission to the evening’s special full-length performance of "Disney's Beauty and the Beast." Join Theatre Bristol and support an evening of live performing arts in our community and be our guest! Theatre Bristol's annual gala and fundraising event is critical to underwriting its programming, including bringing classic literature and entertainment to the stage, subsidizing our school shows, supporting camp scholarships, providing training and guidance in our youth programs, and ensuring founder Cathy DeCaterina's commitment that no child be turned away. 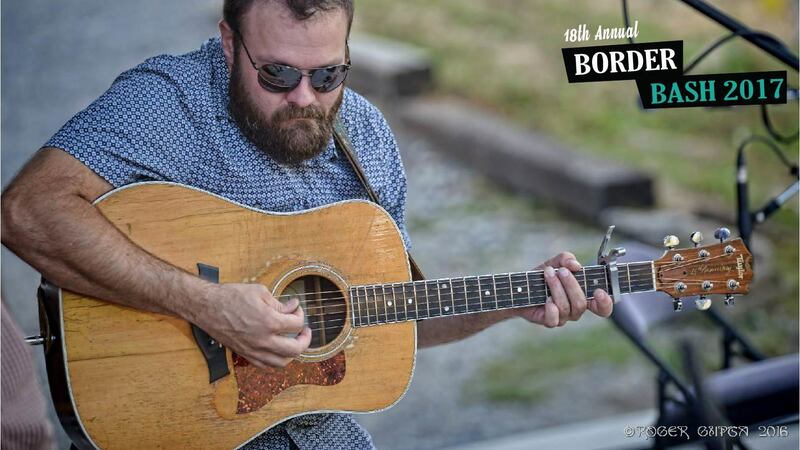 Josh Daniel is a North Carolina singer-songwriter and multi-instrumentalist whose passion and enthusiasm are evident every time he takes the stage. Daniel describes his sound as “Rock n Roll” but it’s much broader than that... Josh is able to mold his influences in to a unique sound that is entirely his own. 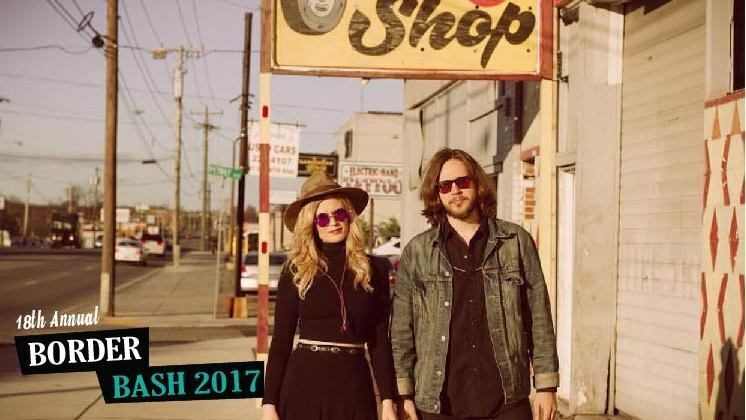 Border Bash, a free summer concert series held annually May through August, celebrates its 18th anniversary including children’s activities, arts & craft and food vendors in addition to live music and much more. All the events will rotate this year! The May 19th& July 21st events will be held in the Downtown Center, the June 2nd event will be in the 400 & 500 Block of State Street, the June 16th & August 4th events will be held in the Piedmont Intersection of State Street, and July 4th will be held in Cumberland Square Park. Join Bristol Ballet for a Texas Two Step lesson June 16th at Bristol Ballet Studio. The lesson will begin at 7:30pm, followed by dancing from 8:30 – 10:30 pm. The Old Field Singers will lead a Shape Note Sing in the Christian Harmony style (as opposed to Sacred Harp) at the Birthplace of Country Music Museum from 10:00 a.m to 3:00 p.m. Participants will learn the tradition of shape note singing in a group with no experience necessary. The event is free and open to everyone of all ages. Shape notes are a music notation, or symbols, used to help teach congregational singing. The shapes were used to help singers find their pitch without having to read music. 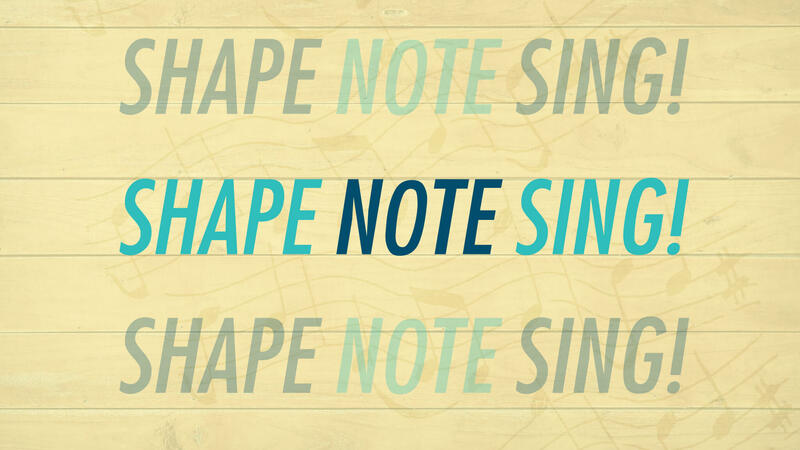 The first publications using shape notes were published in 1801; the practice of shape note singing is still used in churches across the American south. Do you like spending time outside? Do you like listening to bird songs? 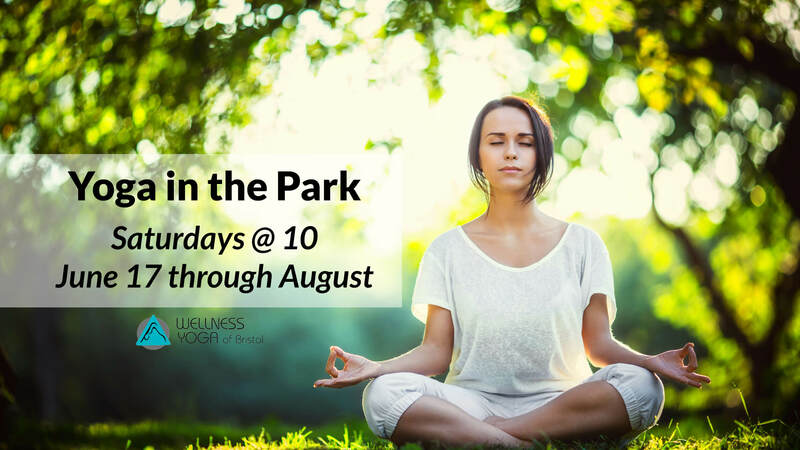 Join Wellness Yoga of Bristol for Free Yoga in The Park! Classes will be held every Saturday at 10:00 a.m., weather permitting, in June, July and August. The first class will be led by Rita on June 17. Enjoy your free yoga practice in the midst of beautiful nature! See you on the mat! Please be sure to bring your own mat. For any questions, call (276) 644-3086, email wellnessyogabristol@hotmail.com, or contact Wellness Yoga on Facebook. 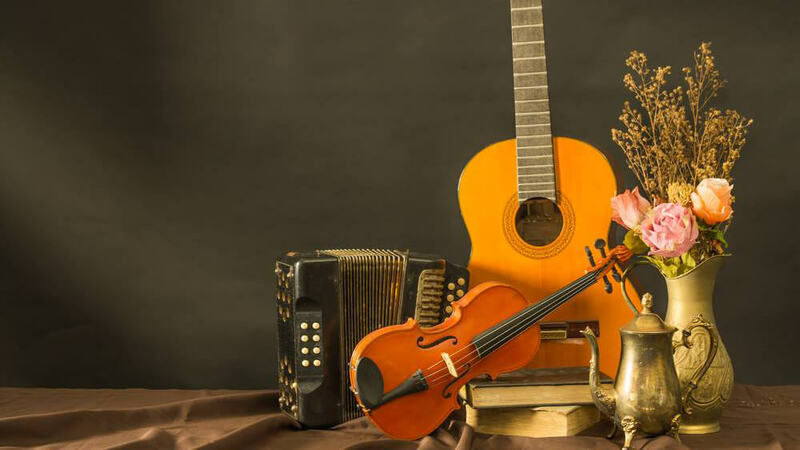 Join Blackbird Bakery for live bluegrass June 19th at 7pm. Jeremy Stout, manager of the Steele Creek Park Nature Center, will be at the Bristol Public Library on June 20 in the J. Henry Kegley Meeting Room for a special presentation on poisonous flora and fauna native to the region. His program begins at 5:00 p.m. and will last approximately one hour, as Stout shows off the different varieties of poisonous plants and venomous creatures common to east Tennessee and southwest Virginia. He’ll teach attendees which are best to avoid and which are harmless. The Steele Creek Park Nature Center is a 2,600 square foot educational facility that showcases the natural history and beauty of Steele Creek Park. Employees of the Nature Center offer guided hikes and educational public programs to help with continued conservation efforts at Steele Creek Park. 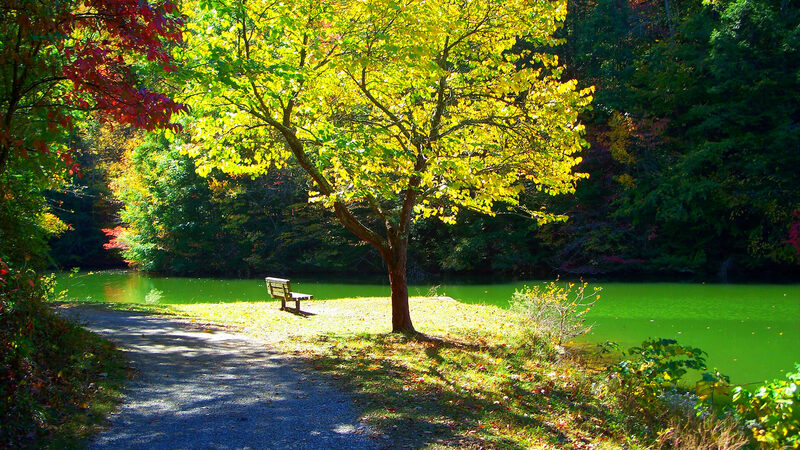 For more information about Steele Creek Park and their wonderful programs, please contact the Nature Center at 423-989-5616. Each anime is rated TV-14. This program will take place in the Teen Space at the Bristol Public Library and is free of charge and open to all teens. Japanese snacks will be served. Teen Book Club will begin immediately after Anime Club for any teens who would like to stay and attend both programs. For more information call Teen Services at 276-821-6192. Does Dad love music? Celebrate Father’s Day with him at the Birthplace of Country Music Museum!Friday, June 16through Sunday, June 18, 2017 Dadsget in forfree with your paid admission. Admission is good for the entire day so you can come early and make a day of it! Take in a few exhibits, perhaps slip out to enjoy lunch at one of Historic Downtown Bristol’s fine eateries. After lunch you may return to explore more areas of the museum and browse one-of-a-kind gifts in The Museum Store. This program will take place in the Teen Space at the Bristol Public Library and is free of charge. The library will provide all supplies. For more information call Teen Services at 276-821-6192. 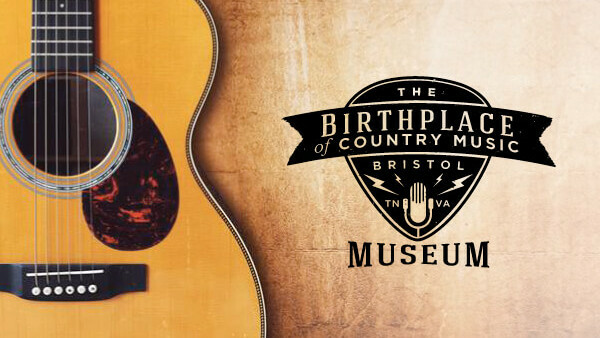 As part of its participation in Blue Star Museums—a collaboration between the National Endowment for the Arts, Blue Star Families, the Department of Defense, and more than 2,000 museums across America — the Birthplace of Country Music Museum is offering free admission to the nation's active duty military personnel, including National Guard and Reserve and up to five family members, through Labor Day 2017. Click here for more information.